Most people know that the transmission is an important component of a vehicle. Even if you don’t have any mechanical experience, you probably DO have a strong sense that if your transmission goes bad, it’ll could make your vehicle stop running and involve you in an expensive repair. However, if you don’t have a strong background in vehicle mechanics, you may not have a very strong knowledge of how to tell if you need transmission repair. 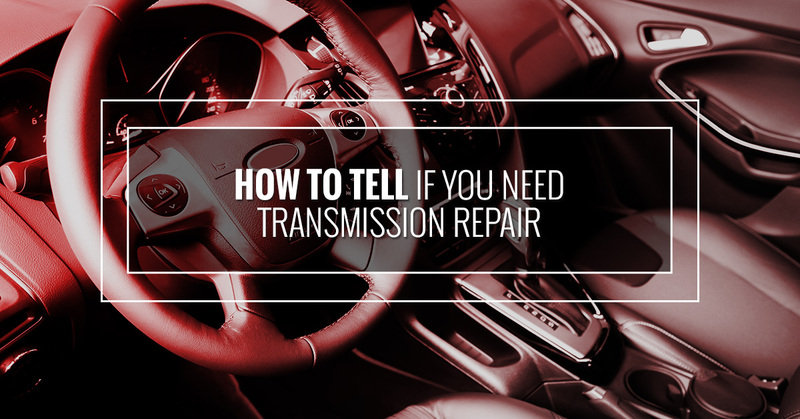 So in this blog post from our transmission shop Northville, MI, we’d like to go over some of the common symptoms of a transmission that needs repair. 1. Your transmission struggles to shift. When you are driving, does your vehicle’s transmission behave the way it used to? Here are some of the things that you should watch for. Listen for when your vehicle shifts from gear to gear. Pay attention to your tachometer to see the RPM’s (or look at the speedometer to see the speed) when certain shifts happen. Does your vehicle take longer to shift than it used to? Do your RPM’s get really high before the transmission will shift? For instance, if it used to shift from first to second gear when you were going 10 miles per hour, does it now wait until you’re going 15 or 20 before it finally shifts? 2. Your transmission delays shifting. When you first sit down in your car, start the engine and shift from park to drive. Does the vehicle shift right away, or does it take a second or two for the gear to engage? Delayed engagement can be a sign that your transmission fluid is low. 3. Your transmission makes strange noises. Turn off the radio and the air conditioner and listen to the sounds that your vehicle makes when you shift between gears. If you hear any clunks or thumps, you should probably get your transmission checked out. 4. Your transmission fluid is brown and smells burnt. Pull out the transmission fluid dipstick on your car, wipe it off, stick it back in, and pull it out again. Use a clean paper towel or rag to soak up some of the fluid and visually inspect it. It should never look brown or smell burnt. If it does, it’s a reflection that something has already gone wrong in your transmission. 5. Your transmission lurches when shifting. Your transmission should shift smoothly from one gear to the next, but as it ages, you’ll feel a much more substantial lurch when it goes into gear. This is something to pay attention to, so if you start to notice it lurching, get it checked out before it gets any worse. 6. Your transmission is slipping between gears. Have you noticed your tachometer showing high RPM’s while your vehicle struggles to accelerate or doesn’t respond with the speed to the wheels that you’d expect from that much noise coming from your engine? This is a sign of a transmission slipping, which should be checked right away. MC’s Transmission is your source in Northville for expert transmission repair and service. Stop by or give us a call for all your transmission needs.